Below are current sale items and discount prices for combinations of products. These special prices may end at any time. There are links to the actual product pages so you may learn more about each product, but you'll have to return to this page to take advantage of the special prices. Sale prices and special product bundles are only good from this page. Get lots of one-way links pointing to your site from high value websites—reciprocal links are practically worthless toward link popularity. 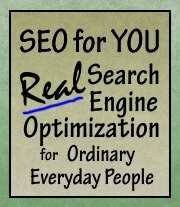 SEO for YOU shows you all the on-page/on-site optimization you need, while Industrial Strength Link Building shows you how to become a master at quickly building your site's link popularity without begging other webmasters for links! Intelligent search engine optimization and smart link building combine to make a killer strategy that gets results. Google has indexed over 1 trillion web pages. How will you compete with all that? It's easier than you might think . . . most of those pages are not optimized very well. Prepare your website the right way and it can race right past them! High ranking websites are not an accident or a matter of luck. The choice is to let your site drown in an endless ocean of websites, or to choose to discover the keys to success. That choice is before you right now—and because I like people who know what they want and are willing to go for it, I'm even including the bonuses I offer at full price for acting now. 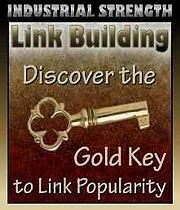 Free upgrades for life on SEO for YOU and Industrial Strength Link Building! You save $17.00 over the regular price of these two great products every webmaster needs! Immediate Download—get started today! Background Magic is GREAT fun! It's the easiest-to-use program you'll find for creating your own high quality web graphics with button-clicking ease. Warning: Creating your own graphics with Background Magic is so easy and so darn much fun, customers and reviewers alike have called it addictive—and I'm not kidding! Combo price: $55.00 You save $19.80 on one my most first and most popular products. The ALL NEW Webmaster MegaDeal !!! Buy Now and Save $122! That's a GREAT savings . . . but hurry, a deal this good won't last forever. You're saving a HUGE $122 on the Webmaster's MegaDeal! Changing list hosts. Will post a new subscribe form soon.